TODDS FESTIVE WINDOW - KÖLN. 'Tis the Season and all! 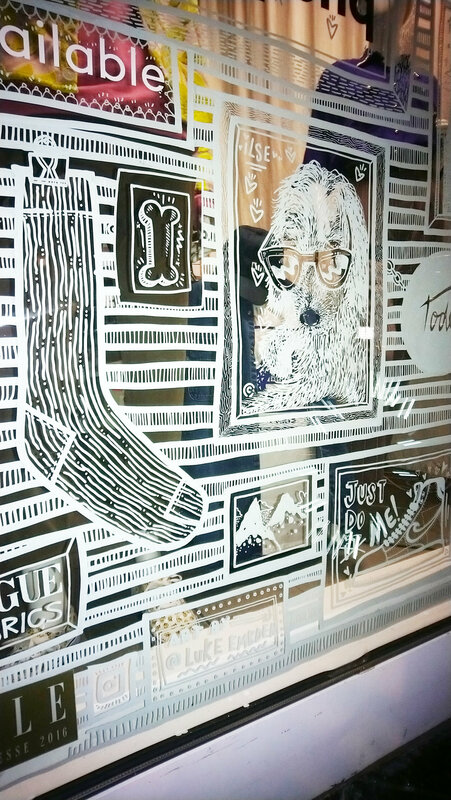 Had the chance to paint the shop window for the lovely gang at Todd’s in the beautiful Belgisches Viertel in Köln. The vision was to create an alternative Festive window including a lot of sassiness, style and with a huge pinch of naughtiness! Ho ho ho…..